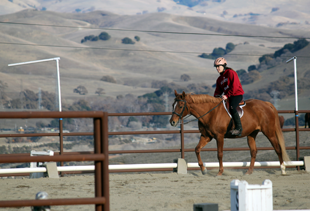 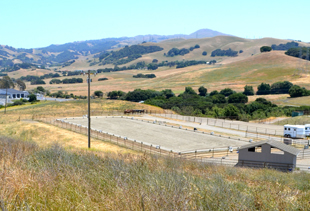 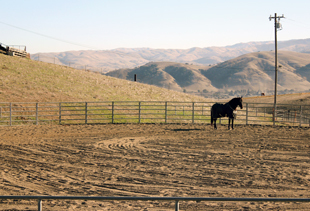 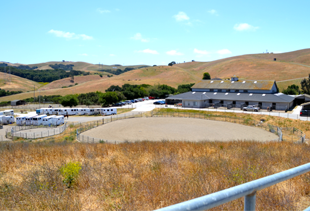 Arriba Vista Ranch offers 5 arenas, 3 with lights, to meet the varied needs of our clients. 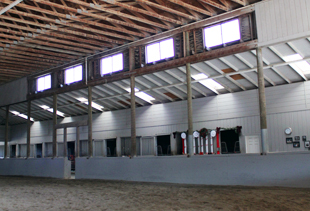 Arenas are groomed daily and access is unrestricted. 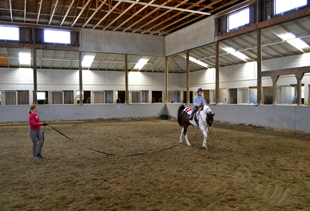 We have lots of space with big arenas, so it’s easy to share! 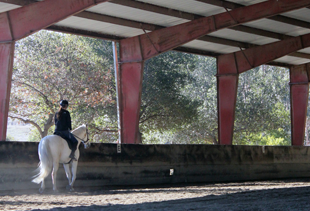 Our Upper Arena is full covered and sheltered from the most inclement weather. 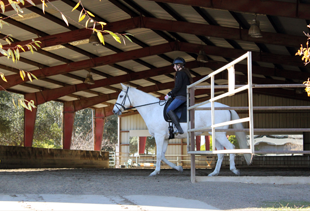 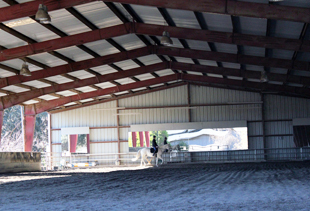 Measuring 80’ x 200’, the arena boasts Pro-Stride rubber footing, full lighting, and mirrors for your convenience. 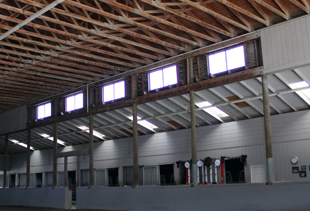 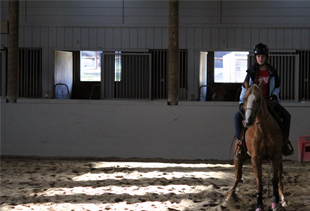 Situated inside the main barn, our Small Indoor Arena is a wonderful, safe place for those first lessons, longeing or quick touchup rides. 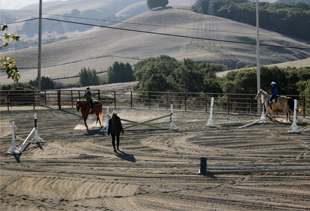 A new, compacted granite and sand base was installed in 2013, along with beautiful new sand for a soft and pleasant footing. 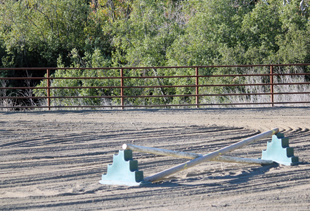 The Jump Arena measures 84′ x 120′ and features lights and sand footing. 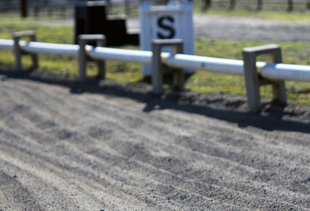 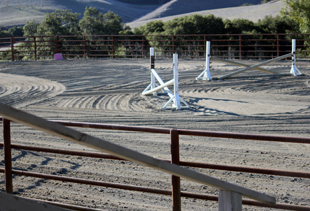 There is a small grandstand for seating and jumps can be set up and used at your convenience. 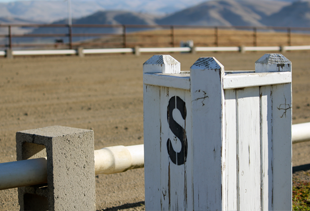 Our full-sized Dressage Court measures 60′ x 180′ and is truly all weather with a sand footing and compacted granite base over French drains. 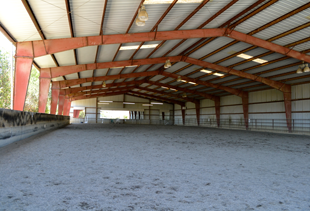 Even in the worst of our rainy weathers, you can expect no more than a couple days of drying time with this arena! 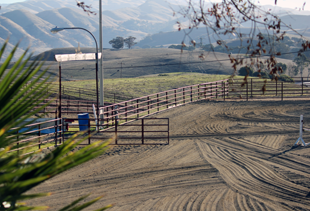 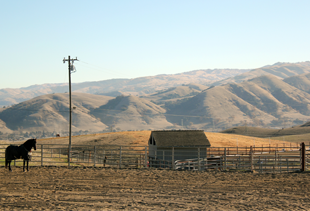 Used primarily for cow cutting practice and longeing, this is a 110’ round pen with deep footing.